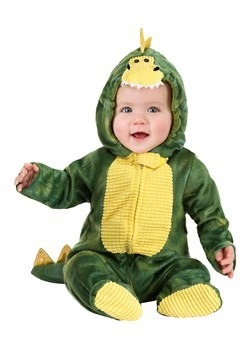 Perhaps you're a new parent, and you're looking at baby costume ideas for the first costume your new addition has ever worn. 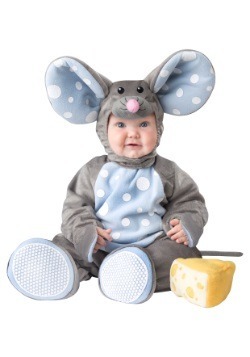 Or maybe you've been a parent for a while now and you like to dress up your baby up for a good laugh while visiting the grandparents. 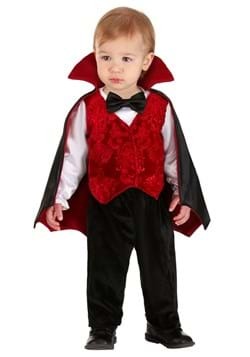 No matter why you want a baby costume, we think our baby Halloween costumes selection will help you find exactly what you're looking for. 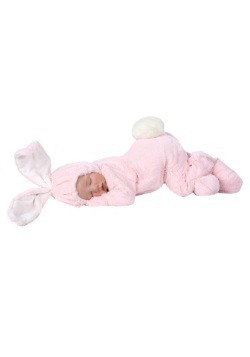 We have the cutest animal costumes, character looks, and other adorable and comfortable things that will keep baby feeling snug while the parents can relax and enjoy life's little moments of joy. 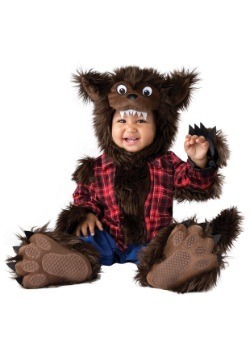 These 2019 Baby Halloween Costumes are going to create wonderful memories and plenty of laughter. Congratulations on your new bundle of joy! Now all the fun can begin for you and the latest addition to the family. No, we're not talking about the diaper changes, the bottle feeding, and the late-night rocking chair sessions. Do people call that fun? We're talking about all the adorable pictures that you're sure to take. There are the pictures you'll post on Facebook, there are pictures you'll frame and hang all over the house, and then there's always those silly and sentimental pictures you'll put into albums and treasure forever. All these snapshots are a rite of passage for a parent. 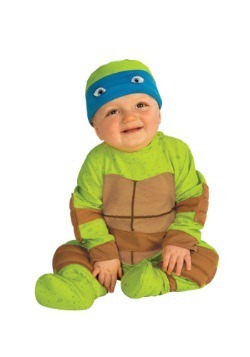 We're hoping that we can make these memories extra special for you by offering the best quality baby costumes. 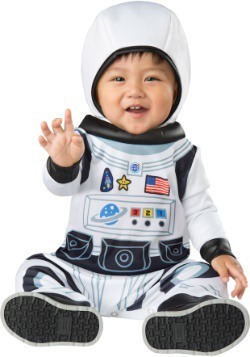 Create adorable memories that you can show your kiddo when they’re all grown up when you wrap your babe in a costume onesie or a simple fuzzy diaper cover. Love a look you found here? Send us some pics so we can experience the cuteness overload too! 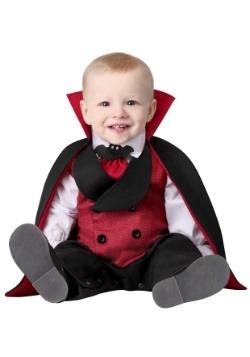 Our baby costumes are available in a wide range of sizes and themes that will make your baby’s first Halloween just right! 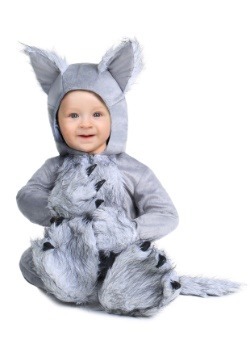 Animals are adorable and infants are adorable, so what happens when you put an infant in an animal costume? Super-cuteness ensues! 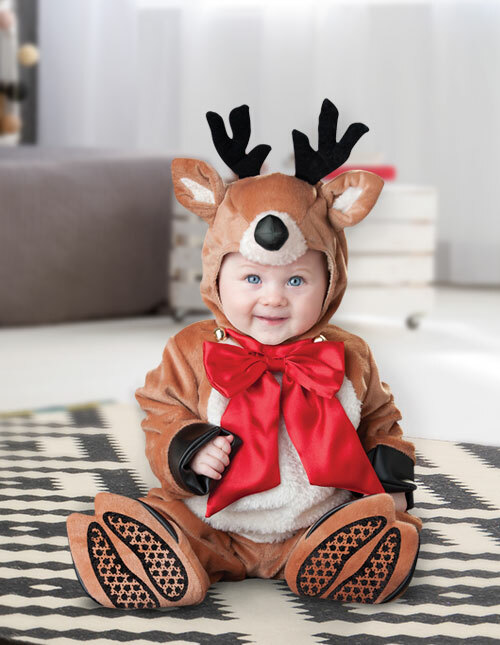 With plenty of different options of infant costumes, we've brought together some of the cutest looks for pic opportunities for you to share with your friends and family. 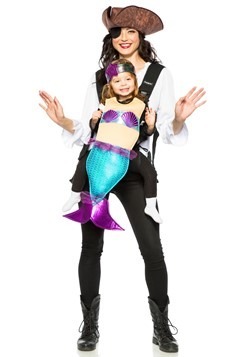 You dream of all sorts of future adventures with your kiddo. A real safari is a while off on the timeline. 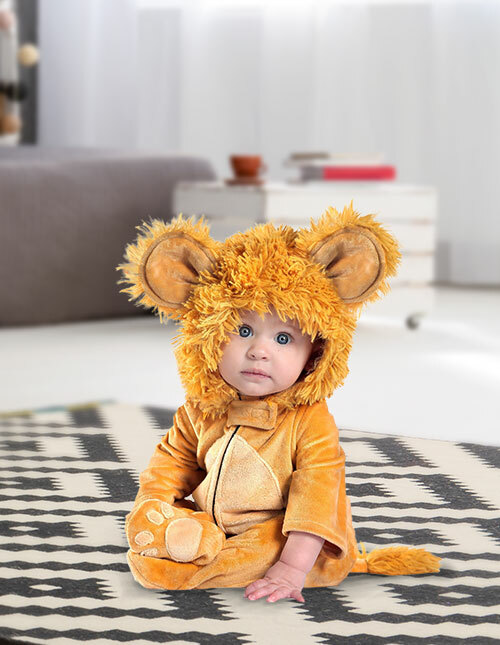 In the meantime, the best way to get some adorable safari pics is to dress your baby up in animal costumes inspired by the wild realm of the Serengeti! 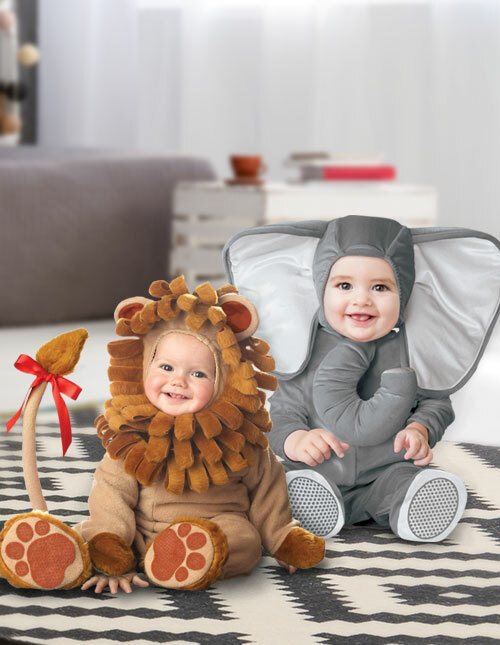 Your most significant decision will be whether your baby looks cuter in an elephant costume, or if your little one is more of a ferocious lion. We suppose it all depends on the quality of their hunger wail. Do they “harrumph” or do they “roar”? Old MacDonald won't be the only one with a farm! 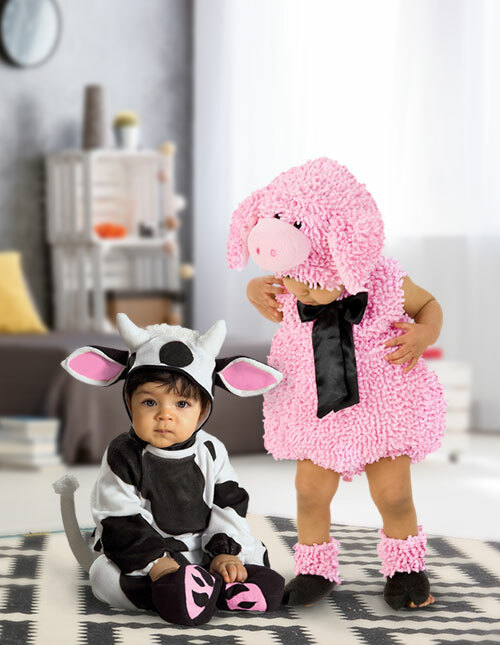 With these cow and pig costumes, you can turn any party into a barnyard bash, with an oink, oink here and a moo, moo there, of course. If you want to add an authentic look to any pic with these costumes, just add some hay and the good old outdoors for the best results. Have you become a bit of a night owl because of your little one? 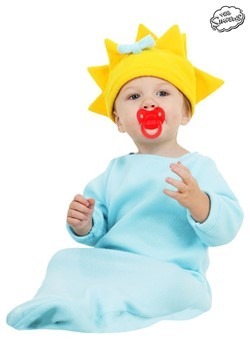 Maybe it's about time that you dress your baby up in a more fitting look! 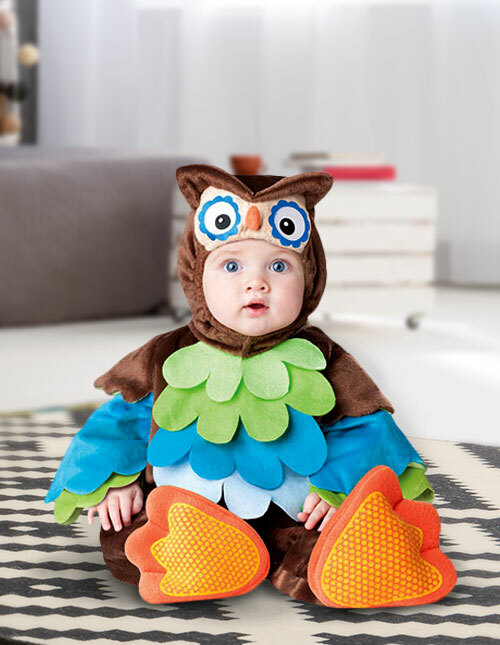 With an owl costume, your baby gets to look a little more like how she feels. 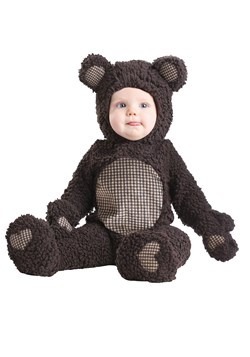 It's an excellent look for late night photos, or just any time where you need your infant to be the star of the night. You know what they say, “once they start crawling, you'd better look out!” It seems like yesterday that you were cradling the little one in your arms, but now you just can't keep them still. 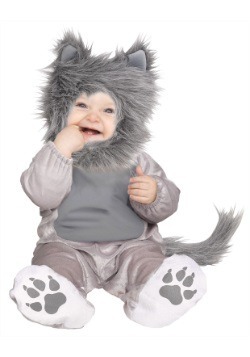 Don't worry, at Halloween they’ll be cuter than ever! 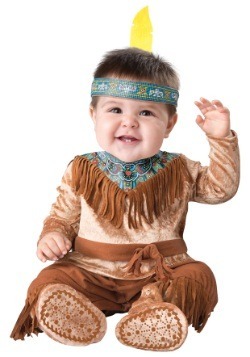 You’re sure to get some great pics of your infant with the right costume, even as they seem to sprint on hands and knees across the room. In fact, some of these outfits look better when your baby is cruising! Some babies have a wild streak in them and just can't keep themselves away from the pen, the playpen that is! 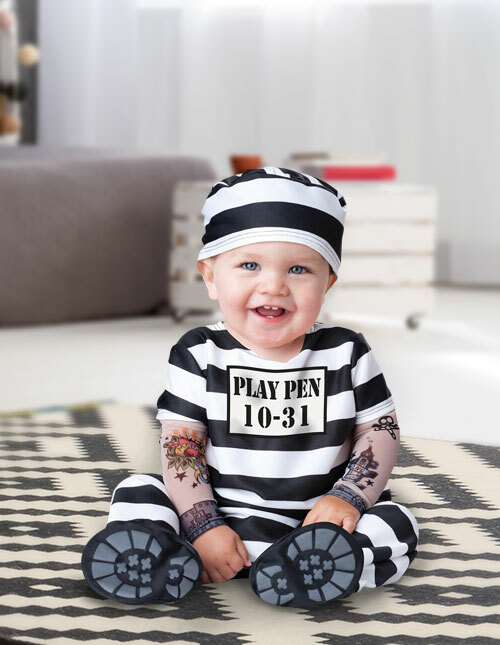 If your infant is a bit of an escape artist, then getting a few pics of him wearing this prisoner costume while he breaks out of the playpen an easy way to get the perfect shots. Want to bring siblings into the action? 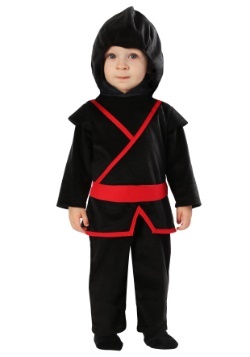 Older brothers or sisters will love keeping this bad baby in line when they’re dressed up as a tiny police officer! How about the look for the perfect little helper? That's easy! 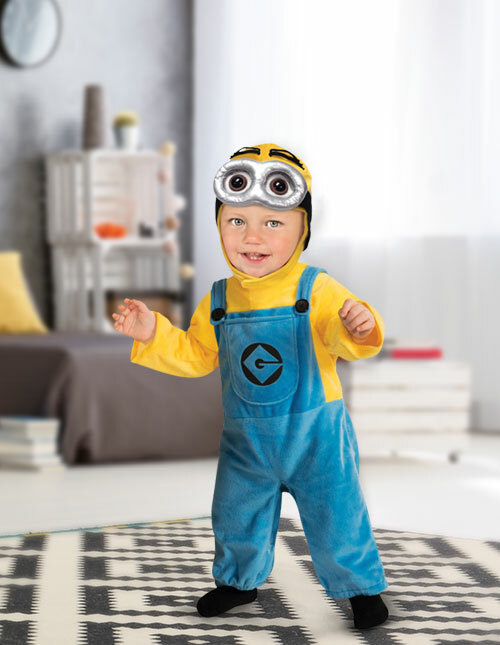 This Minion costume transforms your baby's constant need to help you out (aka: grab for your phone) into minion-like antics that are activated for evil schemes. Sure, they might be looking for a way to play Baby Shark again. 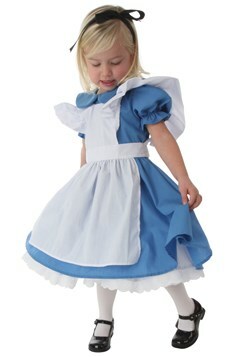 But in this costume, you must wonder if they’re trying to take over the world! This cute little look makes for a great shot with or without and evil super genius at his side. But just in case, we do have a great Gru in case the grownups want to get involved. 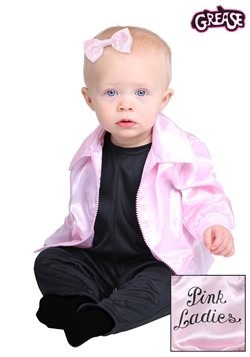 What do Danny Zuko and Sandy Olsson have in common with your little one? Why, that classic fifties charm, of course! With these outfits based on the sensational 1978 hit, you can create some classic photos based on Grease! Cause let’s get real, how cute would your little one look sitting in a classic car? 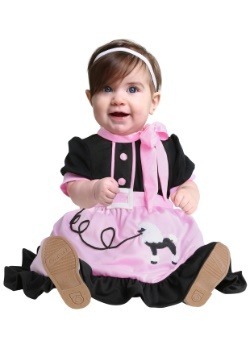 Any infant Grease costume you get from here is fully licensed so you can be sure that your child’s Pink Lady costume or T-Bird look is the best around! And don’t worry about Danny Zuko’s luxurious locks, your babe might not have enough hair to coif yet, but our hilarious headpiece has him covered. 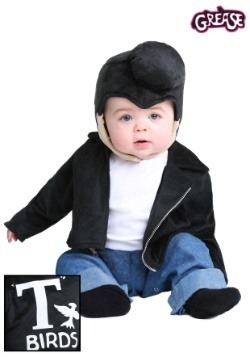 Love the way your kid pulls off his T-bird costume? Mom and dad can even get in on the mix for a full family photo with matching outfits. Can you say “most adorable greeting card ever”? If your little one is already raring to save the world and drive in a big red truck, then give this cute firefighter costume a try. 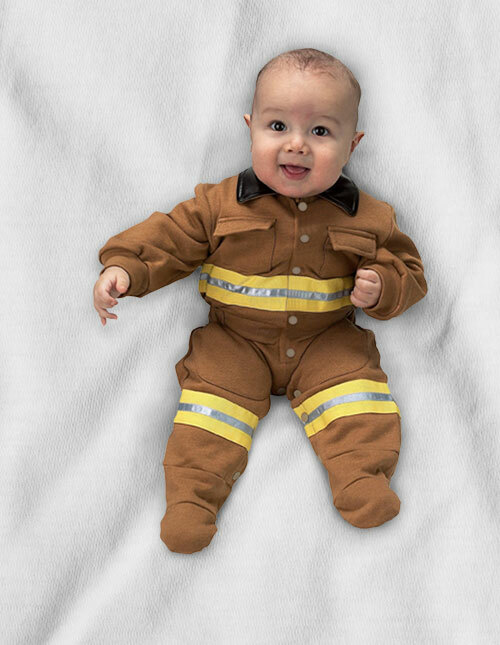 Since it looks just like the ones that the big boys wear, your little one will have a look straight from the fire station in no time when he's in any of our baby boy Halloween costumes! Sometimes, living with a baby is a little bit like training for the big fight. Except, instead of running up the steps of city hall, your montage is filled with images of you trying to get your baby to do basic things like eat and sleep. 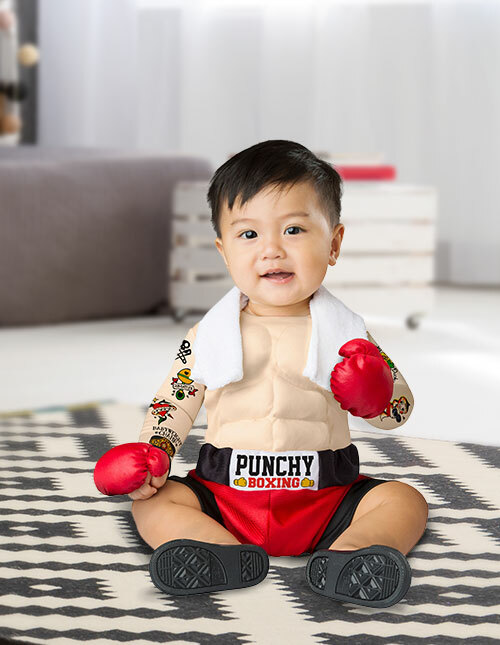 Reward yourself with the glorious picture of your baby in all his muscly, tattooed glory when you dress him up in this hilarious boxer costume! 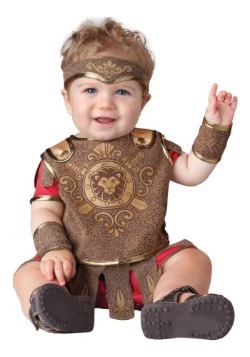 As cool baby Halloween costumes go, this one is sure to take the champion belt home! Holidays are the best time of the year for you and your family. 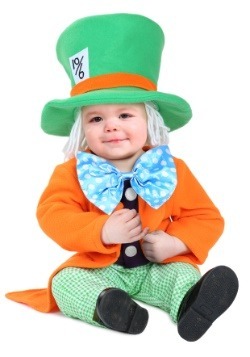 There’s music, good food, and so many excuses to dress up your pint-sized kiddo! 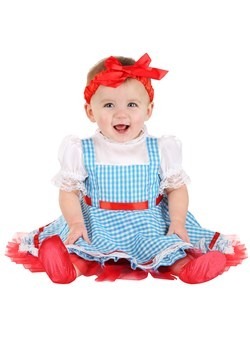 The grandparents, aunts, and uncles are already excited to give their favorite new niece or nephew a cuddle, but when you break out costumes from our selection, minds will be blown! From Easter in the Spring, all the way to Thanksgiving and Christmas in the winter, there's a cute photo opportunity waiting for each holiday. And selecting a costume from each category is totally understandable cause who wants to let that home town audience down? 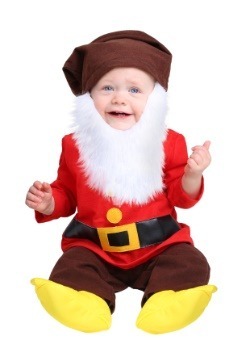 Funny how much your baby and Saint Nick have in common. They both love cookies and milk, they’re both jolly.... Now all that’s missing is the beard! 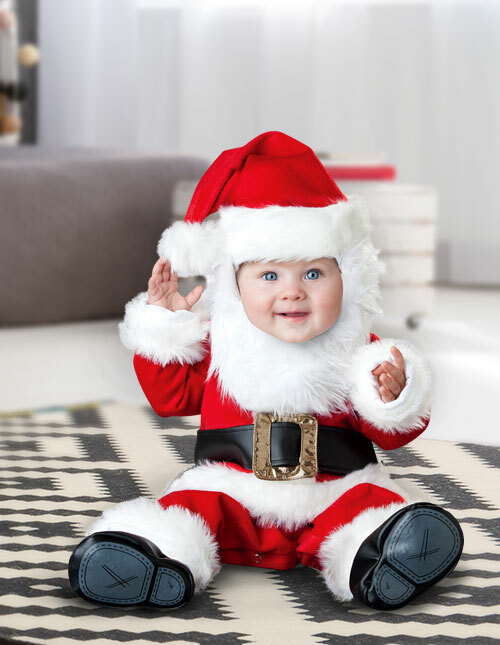 Don’t worry, this Santa Baby costume has you covered on that point! While this Santa is sure to spread Christmas cheer, don’t feel like you’re obligated to like what’s in Santa’s bag. It just might stink. 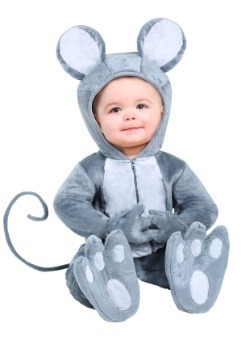 Luckily, our baby costumes are engineered for easy changing with snap buttons around the inseam. It’s just our way of making sure things stay merry and bright! What’s that sound on the roof? It’s a strange clip-clopping. It can only be one thing, Santa Clause coming for a visit! 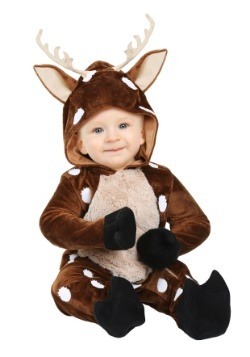 Your little one will be the cutest reindeer anyone has ever seen when they put on this fuzzy, plush reindeer costume. Let your little one jingle the Christmas cheer all the way home this holiday season because what better present could Santa bring your way than this bundle of joy! What are you thankful for? Perfect photo opportunities, of course! 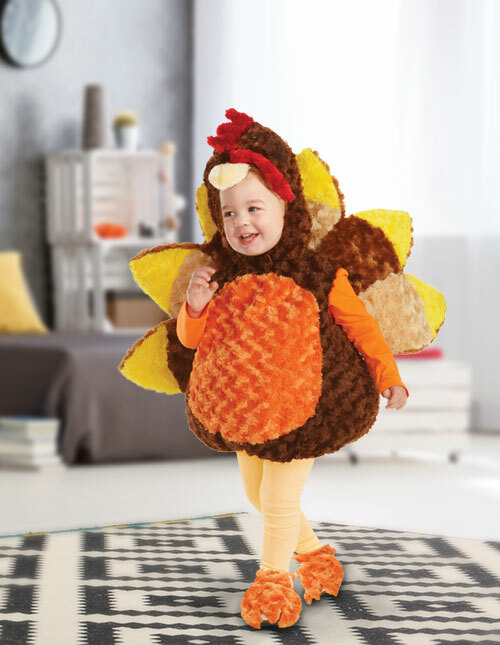 With an adorable turkey costume, your baby can be the star of Thanksgiving. 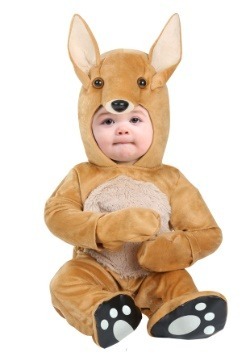 Is it just us or do baby costumes just make everything better? The cranberry sauce tastes brighter, the stuffing is spicier, the pumpkin pie tastes creamier. In this look, you can be sure that your little Tom Turkey is ready for the big dinner so that you can get some great shots of him celebrating with the rest of the family. 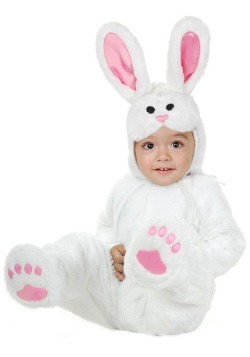 It’s a little known fact that the Easter Bunny ushers in Spring. 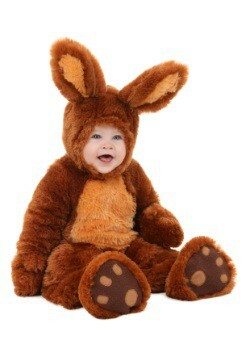 He hops along the bunny trail bringing blue skies, green grass, and most importantly, baskets full of chocolate treats! Maybe your little one is too young to join in on the Easter egg hunt, but that doesn’t mean they can’t participate. 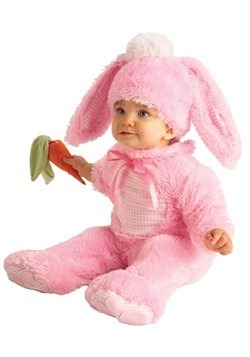 Get your infant involved and dress them up in this Easter Bunny costume! Posed between the bigger kids with their baskets full of treats, you’ll have a great photo to savor for years to come. Your baby is so fresh and new, there are so many firsts to look forward to! The first trip to Grandma’s house. The first touch of grass on their plump little feet. But hey, we get it if you’ve been dreaming about their first Halloween from before you even knew they were on their way! 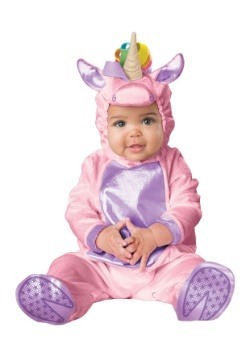 Lucky for you, we’ve got all the newborn costumes to turn those baby costume ideas into realities. 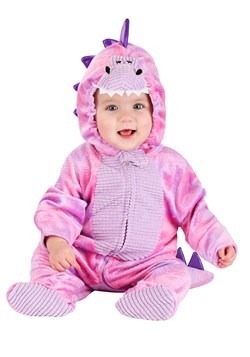 From cute animal costumes to a sweet yet scaly dragon, newborn Halloween costumes and themed infant costumes are the perfect way to make your baby cozy and comfortable while you create some new memories for your photo album. 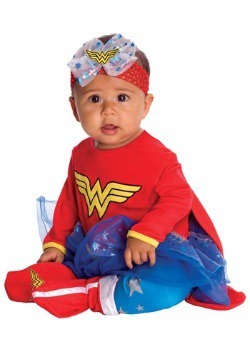 Your little one has a lot of options for their first Halloween. Wait, know that we think about it, let them decide what they want to be in the many Halloweens to come. This year, it’s up to you. Revel in this power. 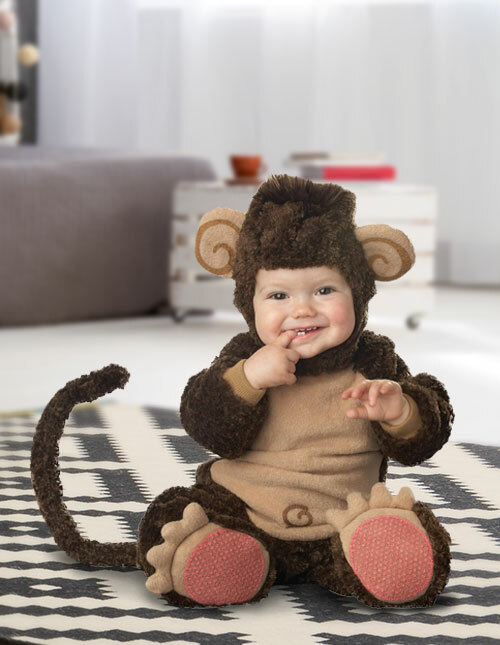 While you might like the idea of a baby girl monkey costume, you can go ahead and ramp that idea up with this jaw-droppingly adorable newborn sock monkey costume. 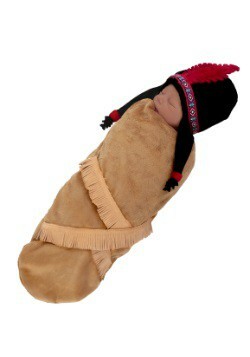 Just like the toy your great-grandma might have made you when you were a baby! Looking for something crunchy, sweet, and colorful for your little one? 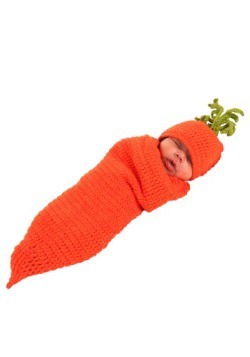 This carrot bunting costume is next level adorable. Does your newborn have a sibling? 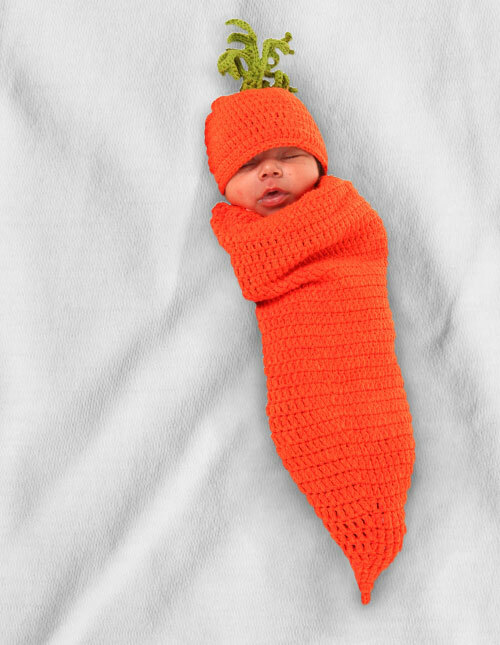 Your littlest carrot can pair up with their sibling who’s dressed up in a baby bunny costume for photos that you can treasure for years to come. 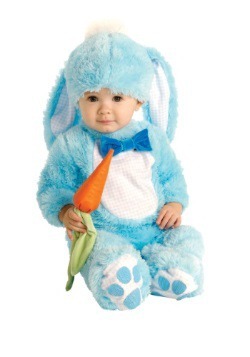 And there’s no need to wait for Halloween, dress up while your little one is still tiny for Easter this year! This is not what Stephen King was referring to when he wrote Children of the Corn. 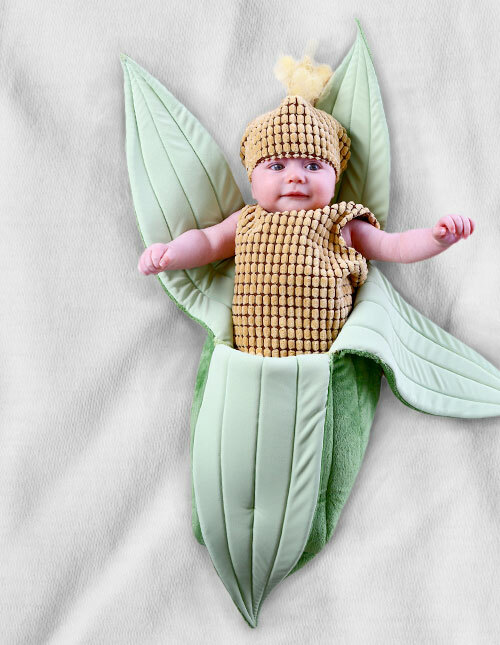 But maybe that’s why he didn’t call it Babies of the Corn...or Baby Corn. 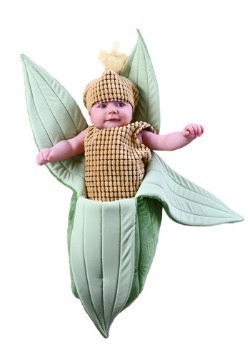 But we can see how a baby dressed in this sweet corn costume might come to rule a small town in Iowa just because of extreme adorability. Everyone is going to want to hold your bounty of cuteness and they’ll be rushing to burp him or change those diapers. Who knew a costume could bring you and yours so much power? Does your babe have a fiery cry that can wake the neighborhood? At three in the morning, that might be a trial. But during Halloween, you can use those powerful lungs to your advantage! 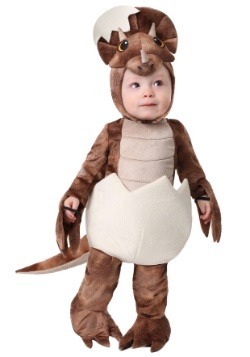 Dragon costumes for babies allow babies to vent their frustrations while staying in character. 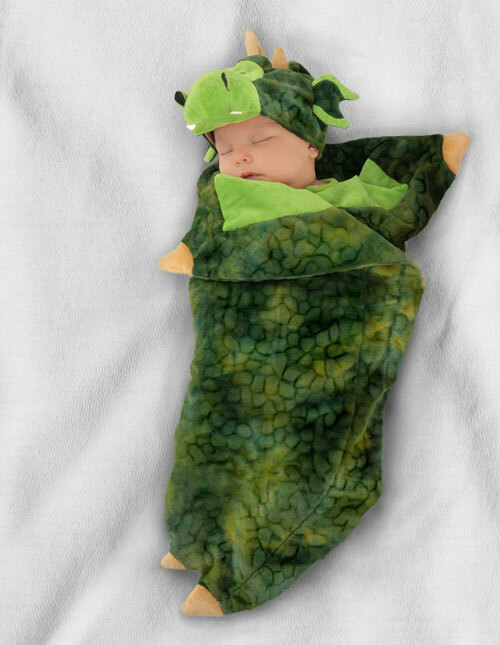 There’s nothing like adorable snapshots of your little dragon letting loose with a roar to let you cast these newborn days in a golden storybook light in a couple of years! 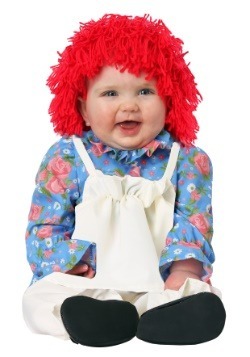 When it comes to hilarity, infant Halloween costumes have a lot of potential. 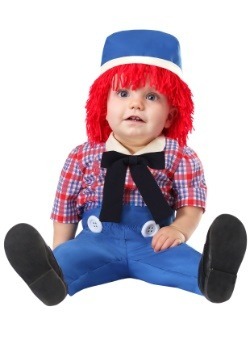 Babies don’t know how funny they look, making them the perfect comedians. There are so many options in our collection. Scroll on through and you’ll find a variety of costumes from minion outfits for babies to celebrity costumes like Elvis and the pope! Okay, we won’t sing it. No, no amount of whining from the baby will work. We won’t sing it! You know what we’re talking about. It’s a little melody that’s worked its way into children’s classics along with “Wheels of the Bus” and “Itsy Bitsy Spider” but this song is on its whole new monstrous scale! There's no escaping it so you might as well lean in. 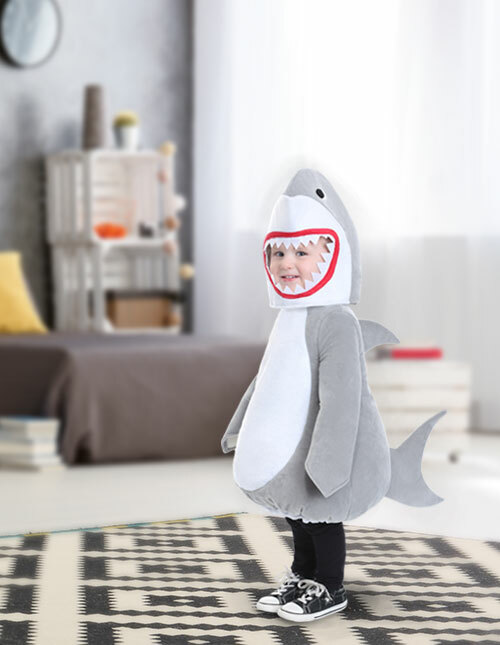 Get those hand motions ready, any kiddo who wears this baby shark costume is sure to be busy singing the shark song at your next costumed event! Some babies are just born to dance! They bounce up and down on those chubby little legs as soon as they can stand on them. 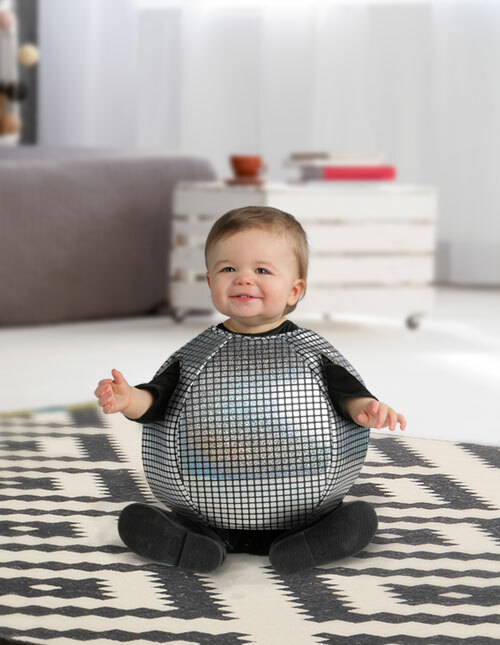 That’s why, when it comes to funny infant Halloween costumes, this Disco ball costume can be a real knee slapper. Just put on those disco beats and watch your little one boogie. You know they’re the life of the party, now’s the time to capture their party spirit for posterity! 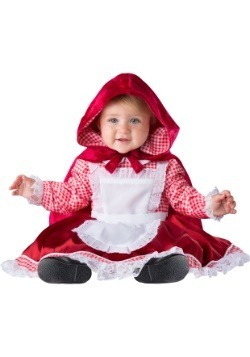 The story of Snow White is full of great characters for people of all ages to dress up as! 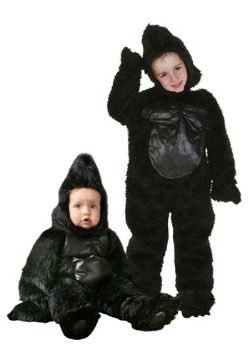 It makes a great family costume. 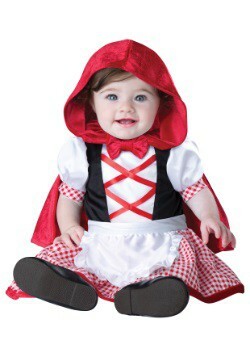 Mom can dress up as Snow White or even the evil queen while the kids can dress up as dwarves. 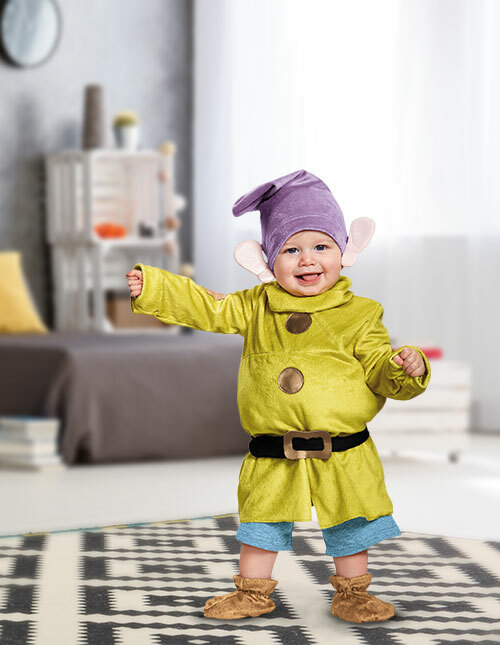 The featured adorable infant Dopey costume will be an instant hit. Who knows, maybe a little bit of dwarf attitude now will help them whistle while they work later! Your kid is the king! The king of cuddles, burping, and getting strangers to wave at him in the grocery store. Now he can also be the king of rock and roll! 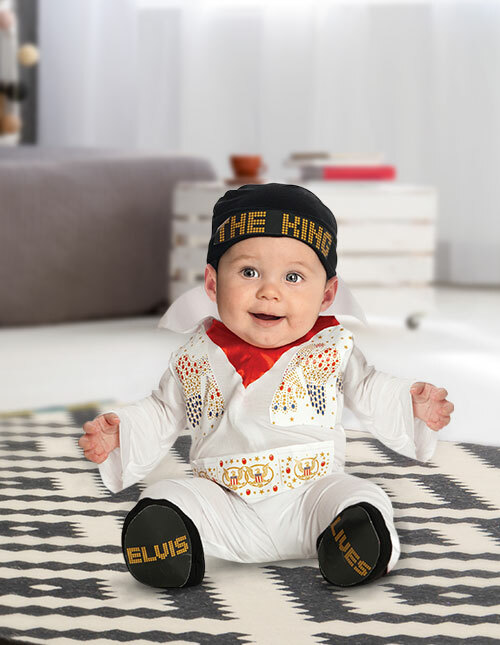 This baby Elvis costume is sure to get an encore with everyone around. 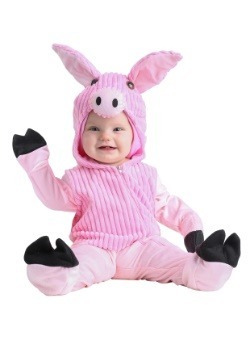 Not only is this costume completely adorable, it’s also a reason to try something new for dinner. Peanut butter, bacon, and banana sandwiches anyone? You already know that your family is incredible. Everyone has their different talents. Sure, maybe they aren’t superhuman talents, but they are super. Maybe someone is awesome at telling stories while another person is amazing at storytelling. The thing is, no one knows what your littlest one’s talents are yet! 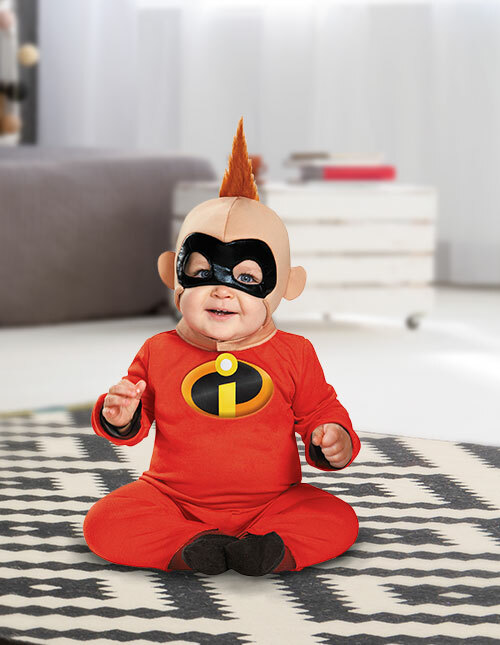 That’s why dressing up your infant as Jack-Jack is a great option to go with your family costume this Halloween. 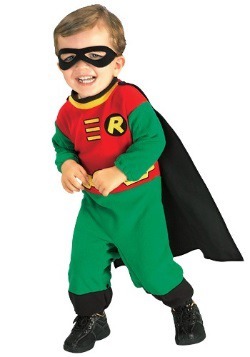 Everyone can have their very own role because we have licensed Incredibles costumes for everyone! 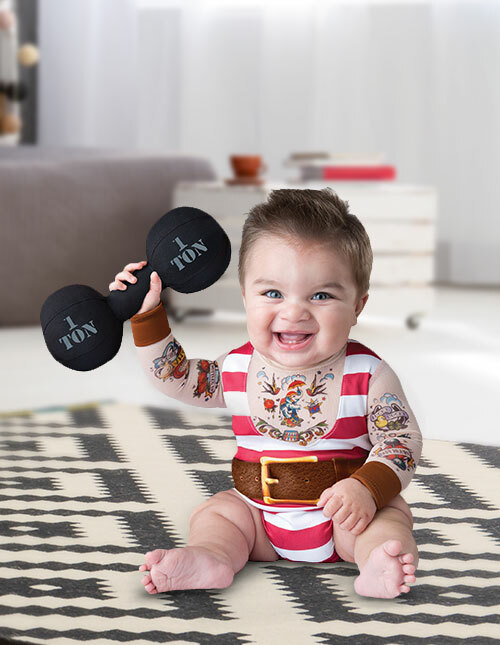 When it comes to cuteness, this strongman costume is going to do some heavy lifting. 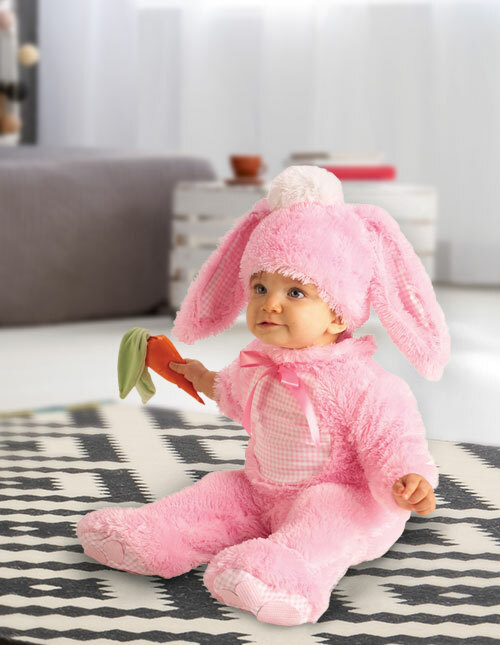 Well, we’re not sure what the cutest infant costume in the world is but we’re pretty sure this is a runner up if not the winner. Want to involve the whole family? Put together a family circus with ringmaster, clown, and lion costumes. 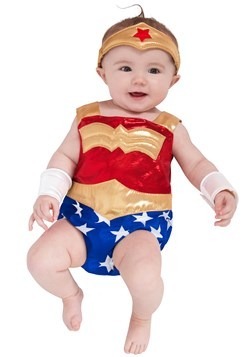 Prepare for the spotlight because your baby’s strongman costume will be the perfect bonus for your family’s group costume. 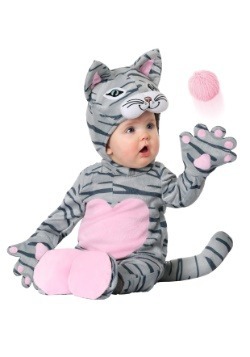 Baby costumes for Halloween don’t have to be spooky! When they’re cooing and making eyes, it’s hard to imagine them putting on baby spider costumes or witch costumes. 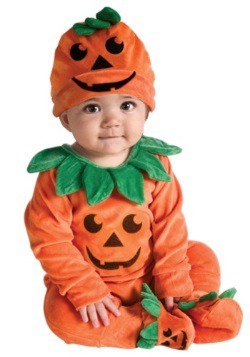 These cute baby costumes featured below are the way to go when your little one is just too sweet to be spooky. You can choose from adorable animals or even sweet treats! 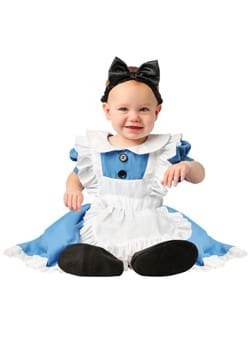 Get your camera ready, you'll be snapping pics left and right when your child is in one of these cute baby Halloween costumes! It’s hard to handle how cute your little one can be. 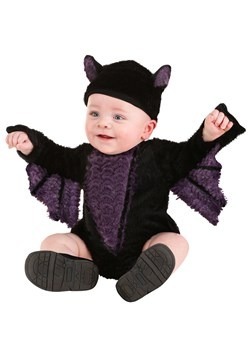 Which means choosing between newborn Halloween costumes can be tricky. 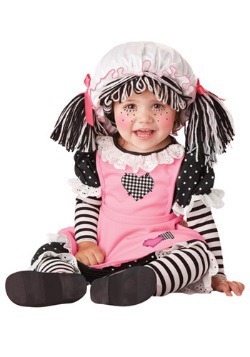 How do you pick when there are so many cute costumes out there? 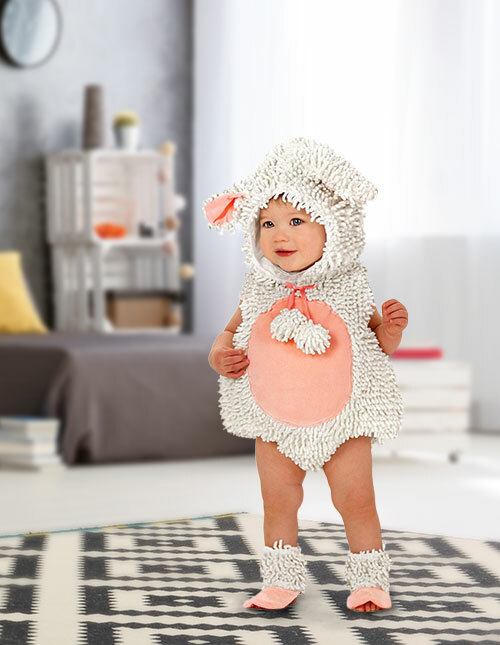 This sweet lamb costume rises above the rest! The soft texture won’t only be cute in photos, it’s also so easy to cuddle. 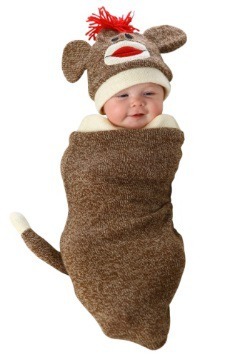 Nuzzle this little lamb and you’ll start to wonder, why shouldn’t your baby wear costumes every day? 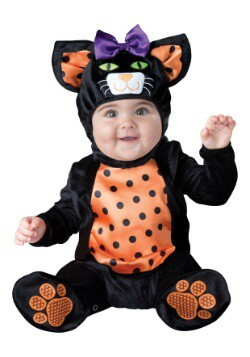 Baby Halloween is different than adult or even grade school Halloween. 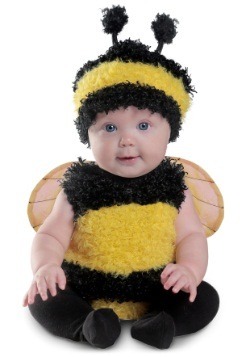 It’s the one year or two when the parents have a complete say in what their babies dress up as. 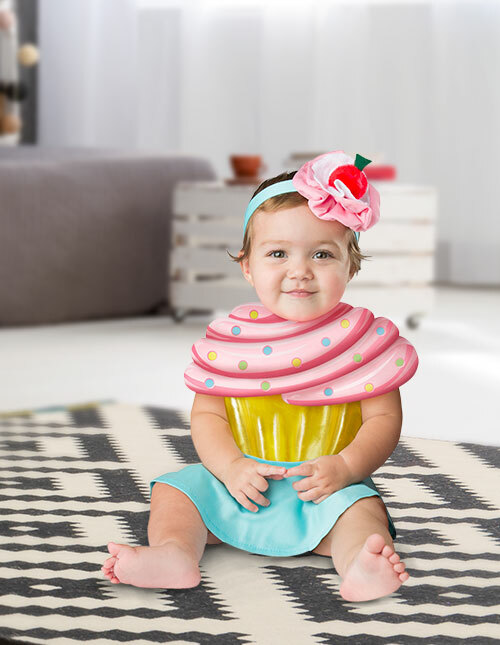 Follow your sweet dreams with our baby girl Halloween costumes like this colorful cupcake costume. If you want to put together a family look, mom or dad can even dress up as a pastry chef. Now, that’s a sweet look! 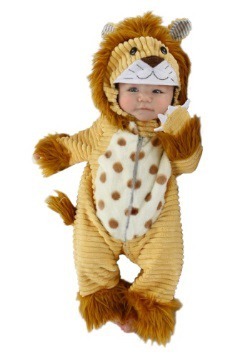 Is your little one able to wake the neighborhood with his roar? Does your kid love to curl up and nap on a sunny day? 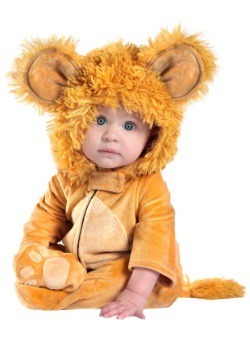 If so, your kid would make an awesome lion. 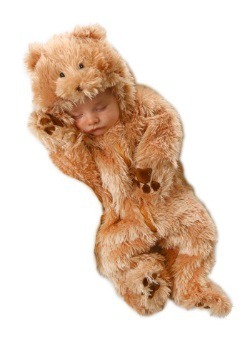 Your baby will look so adorable in this soft, velvet-textured lion costume. 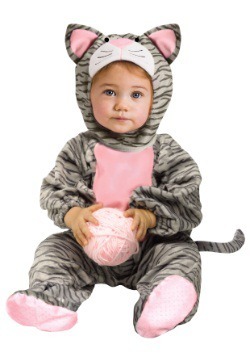 The hood just really pushes the cuteness level over the top to make sure your little one rules the jungle! Add a burst of energy to your next costumed event with a foamy friendly cappuccino cup. 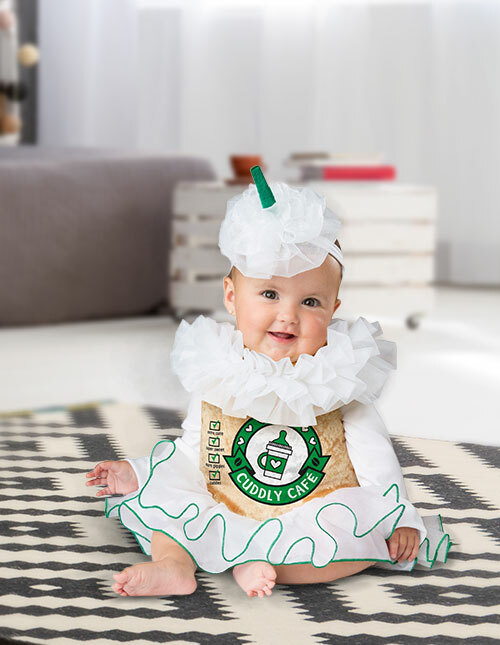 As baby girl Halloween costumes go, this coffee costume is sure to stir up plenty of talk and photo opportunities for caffeine lovers.